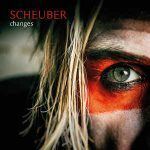 Genre/Influences: Dark-rock, folk, chanson, ballad. 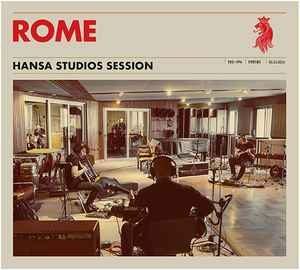 Background/Info: When Rome finished their last tour in Berlin they got the opportunity to visit and record some songs during a few hours at ‘Hansa Studios’. This is a legendary recording studio where famous and legendary names such as David Bowie, Iggy Pop, Depeche Mode, Killing Joke, Einstürzende Neubauten, Siouxsie & The Banshees ao recorded some of their material. Jérôme Reuter recorded some of the songs from the Rome tour plus a previously unreleased song while the work got mixed by Michael Ilbert (internationally recognized for his work as an engineer and producer). Notice by the way the album is also available in a strictly limited vinyl format. Content: “Hansa Studios Session” is a kind of ‘live’ album recorded in the studio. You’ll discover a mix of ‘classical’ songs and some tracks from the last album “The Hyperion Machine” and one new song entitled “Mine”. The new cut is more into rock music and sounds much harder than what we’ve used to hear from Rome thus far. The other songs are bringing the typical Rome sound made of dark, melancholic rock, elements of folk and ballads alive. Jérôme grave timbre of voice excels in passion while the whole composition is once again reminding me of Nick Cave. + + + : I think this album means much more for the artist himself than for the fans, but it’s a fully enjoyable work and a kind of wink to the last Rome tour. Rome probably realized an artistic dream, but the fans will get a beautiful gift reassembling some of the finest cuts from the last tour. Rome is an invitation to join in for a dark and elevating trip, which often ends into a real climax. There’s a harmony between the musicians, but the guitar definitely has a major role. The final- and classical song “A Legacy Of Unrest” is the absolute apotheosis to this great work. – – – : I’m not that convinced by the ballad-style of “Stillwell”, but that’s just a personal taste. 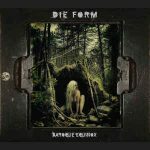 I prefer Rome playing his dark rock-folk songs joined by Jérôme’s captivating singing. Conclusion: This is a particular work in Rome’s discography, but still a nice addition to the already wide repertoire of this artist. This is the meeting between dark elegance and artistic passion! Best songs: “A Legacy Of Unrest”, “Der Brandtaucher”, “Querkraft”, “Transference”.